NBC's Brian Williams, in his first interview since being suspended in February, said "ego" drove him to embellish stories about his reporting experiences. "I said things that weren't true," he told his colleague Matt Lauer in a taped interview on NBC's "Today" show. Exaggerations -- like one that put him on a helicopter that was forced down by enemy fire in Iraq, when in fact he was on a different chopper -- "came from clearly a bad place, a bad urge inside me," he said. "This was clearly ego driven, the desire to better my role in a story I was already in." But he said the moments were unintentional: "I wasn't trying to mislead people." Williams delineated between his anchoring on "NBC Nightly News" -- where "I have always treated words very carefully" -- and his appearances on late night talk shows and other forums. NBC said Thursday that most of the misstatements it found in an internal investigation were from those sorts of appearances. "It had to have been ego that made me think I had to be sharper, funnier, quicker than anybody else," Williams told Lauer. He also said "I own this" and repeatedly apologized. Brian Williams interviewed by Matt Lauer. With the interview, Williams essentially opened himself up to the court of public opinion, banking on the fact that he has been a popular news personality for decades. Williams' suspension ends in August. He said the punishment period has been "torture," but "absolutely necessary." NBC announced on Thursday afternoon that Williams would be staying in the corporate family in a reduced role, mainly by anchoring breaking news coverage and special reports on the cable news channel MSNBC. Lester Holt will be the permanent anchor of "Nightly News," taking over after 10 years of Williams in the chair. 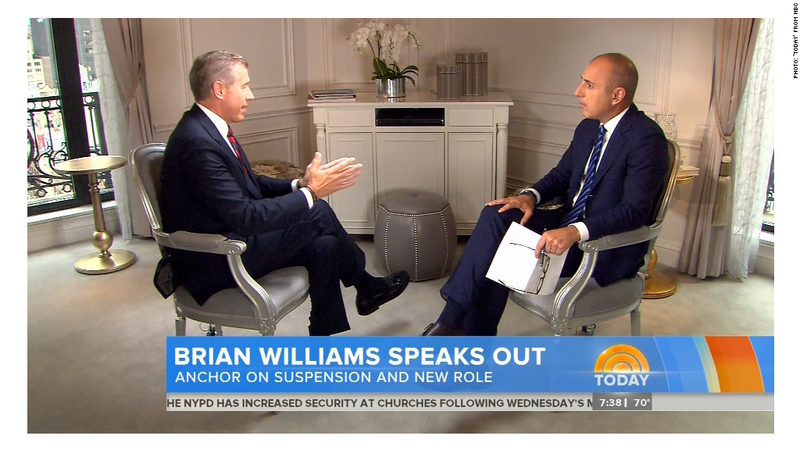 Williams confirmed to Lauer that he initially wanted his nightly anchor chair back and he "pushed back at first" when his bosses said no. But he also said he was enthusiastic about the MSNBC job. Asked to write the headline of his own story, Williams came up with: "A chastened and grateful man, mindful of his blessings, mindful of his mistakes, returns hoping for forgiveness and acceptance." People have many more questions for Williams, about specific misstatements that were uncovered and what triggered them. 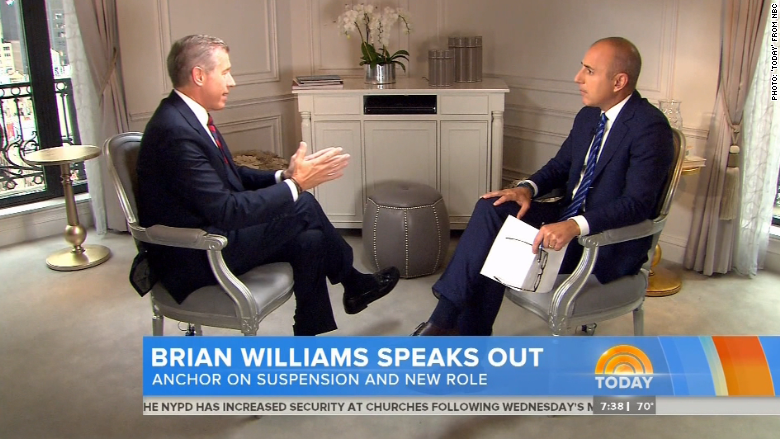 Williams indicated to Lauer that he doesn't want to address those specifics. Given the opportunity to correct the record, Williams simply said, "I am sorry for what happened here. I am different as a result." He said "there are going to be different rules of the road," but didn't say what they would be. The next step in Williams' image rehabilitation comes on Friday evening when more of Lauer's interview airs on "Nightly News." The comeback effort apparently also entails meetings with staffers. It has been dubbed an "apology tour." Williams spent time with "Nightly News" staffers on Thursday afternoon, shortly after the network made it official that he will not return to the newscast. It was "incredibly emotional," and some people choked back tears, said an attendee, one of two people familiar with the meetings who described them on condition of anonymity. 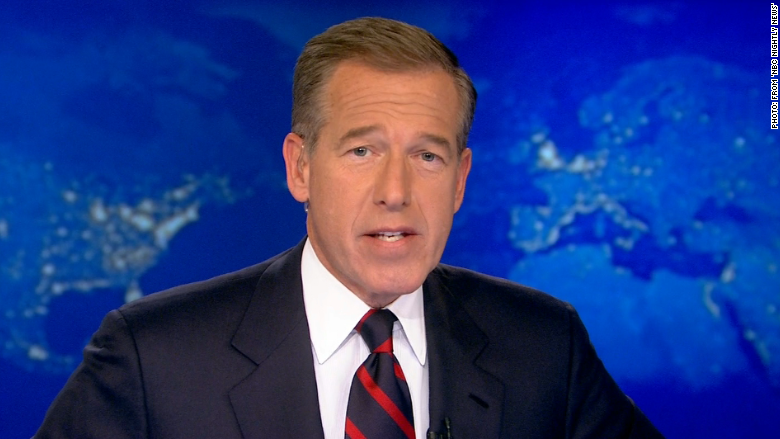 Williams then traveled to Washington to meet with staffers at the NBC bureau there on Thursday evening. Williams was "deeply apologetic" during his conversations with the Washington staffers, a source said. The decision to bring Williams back, in a reduced role and reduced salary, capped months of deliberations by network executives. "As you would imagine this was a difficult decision," Lack's boss, NBCUniversal CEO Steve Burke, said Thursday. 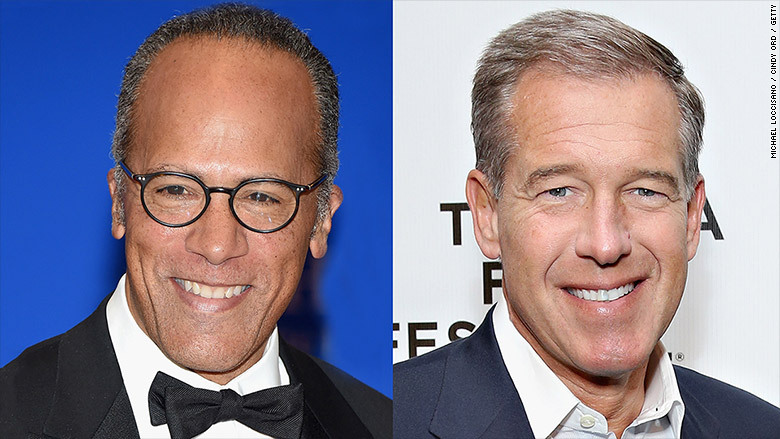 "Brian Williams has been with NBC News for a very long time and he has covered countless news events with honor and skill. As I said in February, we believe in second chances, and I am hopeful that this new beginning will be good for Brian and the organization." Burke optimistically added, "This matter has been extensively analyzed and deliberated on by NBC. We are moving forward."